Sunny to partly cloudy. High 97F. Winds SE at 5 to 10 mph.. In this file photo, a little water trickles down the San Pedro River, on the San Pedro House Trail System, Friday, July 8, 2016, Sierra Vista, Ariz. The state Legislature recently passed legislation authorizing the Drought Contingency Plan (DCP) — an effort to prop up Lake Mead so that Arizona will not have to take more drastic cuts in the water it relies upon from the Colorado River. However, the DCP does not really address conservation. Some state legislators openly admit to this failure. This failure is twofold. First, the DCP has limited provisions for actually conserving water — only $2 million for groundwater conservation programs in active management areas. That is more than offset, however, by the $9 million-plus it gifts to install new groundwater pumping infrastructure that will enable more unsustainable groundwater pumping by Pinal County agricultural interests. Second, the DCP fails to address conservation for Arizona’s rivers, streams and springs, even in the face of warming and drying trends. This omission is not surprising, given that most environmental interests were intentionally excluded from DCP negotiations. The Santa Cruz River is the only reason civilization was even possible to begin with in what is now the greater Tucson region. Native Americans relied on a flowing Santa Cruz from time immemorial. Historic photos from not too long ago depict a flowing, thriving river with extensive marshes and mesquite bosques. Today, the Santa Cruz is a mere shadow of its former self. Decades of unsustainable groundwater mining and channelization have reduced this river and the habitat it once supported to not much more than a concrete-lined ditch, with its only steady flow of water being treated effluent from wastewater plants. Shameful! Perhaps the only positive “baby step” in the DCP is to increase the “recharge credits” for the use of treated effluent in managed recharge sites (such as the Santa Cruz) from 50 percent to 95 percent, incentivizing recharge to occur in river bottoms, as opposed to constructed recharge basins where the ecological value of water is siphoned away. Tucson Water deserves credit for negotiating this important change. However, it will not be enough to resuscitate the Santa Cruz and its once-verdant riverine forests, nor will it address the root cause of the river’s illness: continued groundwater pumping that robs the river of its natural base flow. The San Pedro River is arguably the most important ecological feature in our region, supporting unparalleled biodiversity, a hemispherically-vital bird-migration corridor and a sustainable, nature-based economic engine. It, too, is strained by prolonged drought, and it is further threatened by unsustainable groundwater pumping from nearby cities such as Sierra Vista, and plans for the inappropriate Italian-style mega-retirement community dubbed Villages at Vigneto, near Benson. The DCP gives no love to the San Pedro, nor for that matter to any of our state’s other beleaguered rivers, like the Verde River, whose still-perennial waters support myriad wildlife and the economies of rural Arizona communities. Do we want any of our remaining living rivers to go the way of the Santa Cruz? Most Arizonans would say “absolutely not!” And yet, here we are. We desperately need to modernize Arizona’s water laws to be able to sustain gems like the San Pedro and Verde rivers, and to revive cultural and economic treasures such as the Santa Cruz. One solid step in the right direction is to pass legislation to recognize “ecological water” as a beneficial use under Arizona’s existing water laws. This addition would protect existing property rights and allow for the voluntary transfer of water rights for the benefit of our rivers, their ecosystems and the many communities and businesses that rely upon these values. If you care about the future of our rivers, it’s urgent for you to call on your state legislators now to hold a public hearing for SB 1370 and HB 2630 this week, lest conservation of our living rivers be omitted from our leaders’ water agenda yet again. 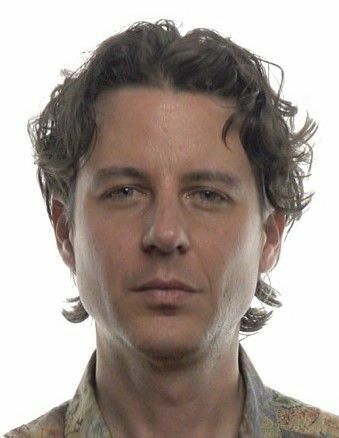 Matt Clark is a conservation scientist and consultant. He earned his undergraduate degree in environmental sciences from the University of Denver and his master’s in forestry and conservation ecology from Northern Arizona University.